People who are eligible for aid paying out-of-pocket medical costs are most likely to be white, single and living in the South, according to a new report from the Robert Wood Johnson Foundation and the Urban Institute. Most people know that the Affordable Care Act provides tax credits (aka subsidies) to help low- and moderate-income people buy health insurance. Less known, the authors say, is that people earning up to 200 percent of the federal poverty level ($29,175 for a single person) can also get help paying out-of-pocket expenses, a major concern in an era of high-deductible policies. "This benefit seems to fall off the radar sometimes," said Katherine Hempstead, director of coverage for the Johnson foundation. People need to choose a silver plan to qualify for that help, she added. Those who choose a bronze plan for the lower premiums may end up worse off when they're hit with higher out-of-pocket bills. The study looks at who is expected to fall into those income ranges in 2016, though it's obviously timed to remind people about enrollment before the Feb. 15 deadline for 2015 sign-ups. The authors broke the country into four regions and found that almost half of the eligible people live in the South (a zone that includes such states as Texas, Louisiana and Oklahoma, as well the Southeast). That's probably because many of those states, including North and South Carolina, haven't accepted federal money to expanded Medicaid. In states that did, people who fall below 138 percent of poverty qualify for Medicaid. In non-expansion states, those between 100 and 138 percent qualify for aid on the exchange. Many who make less than the poverty level fall into the Medicaid gap and can't afford insurance. Single people without children accounted for the biggest block by family status (48.9 percent), and non-Hispanic white people made up 60 percent of the eligible people. The study doesn't account for how many people within the income brackets may have other types of insurance and how many are already be getting the subsidies. 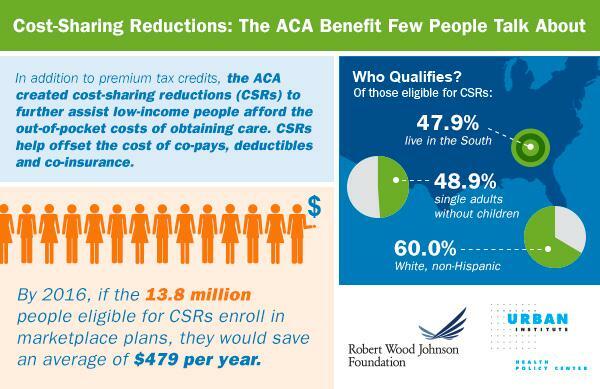 ACA numbers: What's squishy, what's solid? So you got insurance. Will it help? Separated, uninsured and out of luck? My surgeon made how much?